Aubameyang: "I just realised how intense the Bundesliga is"
Munich - The fastest player in the Bundesliga admitted he's still got to adapt to the pace of Germany's top flight, while last season's top goalscorer was unaware he'd set another club record. bundesliga.com rounds up what the protagonists had to say on the first weekend of the new Bundesliga season. Jens Keller (Schalke head coach): We weren't in it at all in the first half, despite that early goal. We sat back and didn't look good at all when they scored. After the break, we did a lot right. We pressed high up the pitch and won a lot of tackles and Hamburg had to resort to a long-ball game a lot of the time. If we'd played throughout as we did in the second half, we'd definitely have won. Torsten Fink (Hamburg coach): The team responded fantastically after going behind. Last season, we could well have ended up losing three- or four-nil after conceding such an early goal. Our tactics worked pretty well, the fans saw a great game and a 3-3 draw was a fair result in the end. Rafael van der Vaart (Hamburg playmaker and captain): We played very well and only made one or two mistakes, otherwise we would have won here. It's a bit annoying, but it was great game to play in as well. Thomas Tuchel (Mainz coach): The game felt like it was balanced on a knife-edge throughout. After going 3-1 up, we thought we'd manage to bring some calm to the proceedings, but we didn't. It was a nervy affair, which makes it all the sweeter now. We feel we got our just reward with the three points, but there's still plenty to work on. Bruno Labbadia (Stuttgart coach): It was a very intense contest, which was only to be expected. In the second half we passed up good opportunities to go in front, maybe even two-up. And we gave away their goals too cheaply. 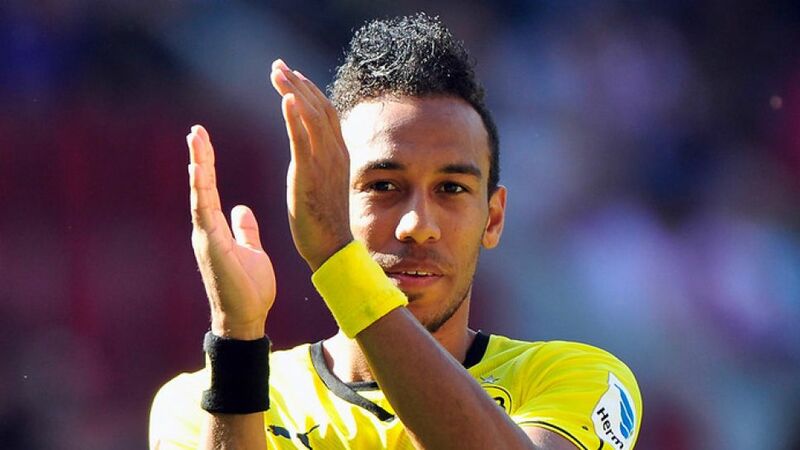 Pierre-Emerick Aubameyang (Dortmund forward): I realised today how intense the Bundesliga is. It’s far more intense than Ligue 1. The extra pace didn’t make a difference to me, though. I like it here in Dortmund. I want to work hard week by week and then we’ll see what’s possible this season. Jürgen Klopp (Dortmund coach): Our opponents were really strong and got better by the second. We were stronger in the second half and that’s when things started to open up. We scored some great goals and ended the game supremely well. Aubameyang did really well today. I’m not surprised by what he has to offer, but I am surprised that almost all of his shots went in. That was definitely a good start. Markus Weinzierl (Augsburg coach): Of course we’re disappointed because we imagined things differently. Nevertheless, I still think we had some good moments, it's just that our mistakes were punished ruthlessly. It was a decent performance for an hour and I think the size of victory is a bit too great. Sami Hyypiä (Leverkusen coach): I don't believe it was such a one-sided game. In the first half, we played really well for half an hour, then we lost our tempo and concentration a little. The two quick goals after the break were well created. All in all, I’m pleased that we’ve won the first game because that gives us self-confidence. Sidney Sam (Leverkusen forward): We get on well together. I’m delighted that Sonny [Heung Min Son] scored his first goal. For me to have laid it on makes it all the nicer. Stefan Kießling (Leverkusen forward) When told he’d broken a club record by scoring for a seventh straight game: What, really? Yet another record?! (...) Both [Sam and Son] are quick and get shots in on goal now and then too, and that is what we need. Christian Streich (Freiburg coach): We’ve got no chance in a game like this at a time like this. Leverkusen were totally superior to us. We know we’re going to get beaten by individuals over and over again and that we need to be spot on tactically to have any chance. That’s our problem at the moment. I’d have liked to have had three or four extra months. Pep Guardiola (Bayern coach): We’re happy to have won this first game. We need results in our first three or four games because some of our players are not yet in top condition. We had this first quarter of an hour in the second half which we should have controlled better. Philipp Lahm (Bayern captain): We’ve got an absolutely phenomenal squad, but I think we had a really good set of players last season. It’s difficult to compare the two. Franck Ribery (Bayern winger): It’s always difficult to win the first game of the season, especially against Gladbach, who are a good side and well-organised. But I believe we played well, had fun and we won which is important for our confidence and the head coach. Manuel Neuer (Bayern goalkeeper): [The win] was important for us. There have been times when we haven’t looked that good against Gladbach and today, with a 3-1 win on home soil, it was a good start to the season for us. I think the next few weeks will be crucial for us ensuring that we enjoy a strong start to the season and we all want to build on this performance. Lucien Favre (Gladbach coach): We’ve rarely had as many chances as we had today, particularly here in Munich. It’s a shame, but I’ve seen lots of positives for our first game. Nevertheless, there’s a lot to correct. We wanted to compete with Bayern and that was the only chance we had to get anything here. You’ve got to dare to attack them and we tried that. Torsten Lieberknecht (Braunschweig coach): We played a good game and I can’t criticise my team at all. We almost responded to their killer blow too and we can certainly leave the field with our heads held high today. Robin Dutt (Bremen coach): I think that a huge weight has been lifted from the team and off my shoulders. It was really important for the team to survive in this cauldron. Respect to Braunschweig for brining on attacking subs. That then gave us room to exploit on the counterattack. Jos Luhukay (Berlin coach): We tried every minute not to let Frankfurt get into their rhythm. It was a sensational performance. We now have our first three points and we can enjoy the game a bit more, but we’ll soon come back down to earth. We can always improve things. This was a good start and now we want to build on it. Armin Veh (Frankfurt coach): It’s hard for me to analyse this game. I’ll have to take a look at it again because so many things happened that don’t usually happen. We dominated the first 15 minutes, and then Hertha were right in our faces. They precise, dynamic and effective. We never got into the game after that.